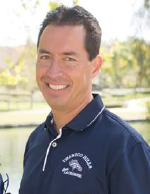 This is Scott Leong’s eighth year as the Trabuco Hills High School Girls Lacrosse Head Coach. Scott is a veteran youth girls lacrosse coach. In his first seven years with the Mustangs, the Varsity extended the program’s consecutive US Lacrosse playoff-appearance streak to 11 seasons. In 2011, the Mustangs Varsity won their first Sea View League title in Leong’s first year. In 2014 and 2017, the Mustang Varsity won the South Coast League title. Trabuco Hills has won a playoff game for five consecutive years. His daughter Melanie played for the Mustangs from 2011-2014. His oldest daughter, Danielle, played for Trabuco, 2009-2012. Leong in 2014 was one of 75 national finalists for Positive Coaching Alliance’s Double-Goal Coach Award Presented by MaxPreps. This honors “outstanding work in pursuing the goal of winning and the even more important goal of teaching life lessons through sports.” Leong — nominated for the honor by Mustang parents — was picked from a field of 1,732 nominees nationwide. This is Melanie Page’s fifth year as a Trabuco Hills High School Girls Lacrosse Assistant Coach. Melanie is a 2008 graduate of Trabuco Hills and was a player in the lacrosse program’s formative years. She played for Club Mission and then Club Trabuco before lacrosse was a part of Trabuco’s formal athletics program. She played for the Mustangs in 2007, when lacrosse became an official Varsity sport, and in 2008 at attack and midfield. Melanie graduated from Cal State Fullerton in 2013 with a degree in Human Services. Her sister, Marina, played on Trabuco’s girls team; her brother, Adam, played with the Trabuco boys. Have a question for our coaching staff?